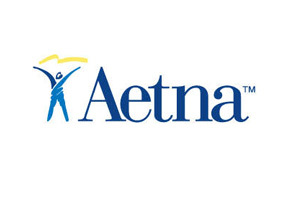 Since opening their doors in the USA in 1850, Aetna has a long history of offering quality life insurance and property insurance, as well as local and international medical insurance. Over the years Aetna's solid insurance products and excellent policyholder support have led them to be one of the world's leading insurers with over 17.7 million members just on their medical plans. Aetna 's forward looking customer services combined with their wealth of knowledge and experience acquired over the years has allowed them to build a global network of partnerships with some of the best hospitals and medical facilities around the world. These partnerships allow Aetna to facilitate your treatment with its partner network and make your claims process fast and efficient. Aetna 's longstanding dedication to investing in making healthcare better across the world has earned them many accolades and awards over the years, including being named Fortune Magazine's most admired company for two consecutive years over 2008 and 2009. As an Aetna policyholder you have access the world's best healthcare providers and excellent customer service to help make sure you are protected wherever you may be. For more information about Aetna policies we offer, or for a free international medical insurance quote, please contact our advisers today.